This is a great touring pack. It has one main compartment (top-loading) with a pull cord top for easy access, plus a small zipper pocket on top for small items. It has a separate front pocket for shovel, probe, etc. Several straps on the outside allow for adequate compression and an outer shell can easily be thrown under the top pocket. It holds skis well when boot-packing- make sure you have a ski tie of some sort for the tips (A-frame style). 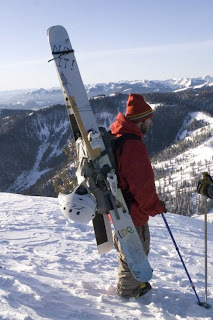 I've carried my EP Pro's (127mm underfoot) with this pack many times; fat skis are not an issue. Luckily, I haven't had to use the Avalung, but it could be considered a good safety device. There are a few parts of the pack that I dislike, but they don't take away from the overall positive feeling. The waist belt could definitely be a little thicker for more support. I also feel that an outside attachment for a shovel handle would be much more appealing than throwing the handle in the snow pocket. Maybe my Voile TelePro shovel handle is longer than others, but I it pokes up into the top pocket when cinched down. I put a nylon cord through the small loops on the top of the pack to secure small items down. I found this to be convenient. Overall, I love the pack. It's the perfect size for touring (30L), holds skis securely, and is comfortable to wear. Also, the Avalung may dig into your shoulder if you buy the wrong size for your torso, so definitely try it on before buying! Click Here to buy the Black Diamond Alias at REI.com! This is a place where I share photos and stories from my skiing and life adventures with my family and friends. In the fall of 2008, I decided to take a break from school and start the lifetime adventure that I’ve always wanted to. 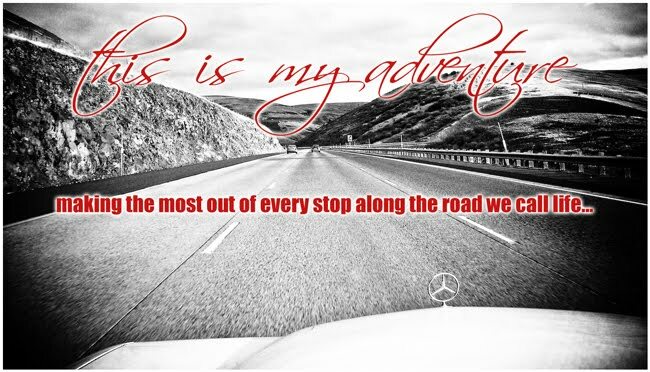 In my 1983 Mercedes Benz, I made the 3,700 mile drive from Palmer, Alaska down to Jackson Hole, Wyoming. I spent three years in Jackson working hard and playing even harder. I received a degree in mechanical engineering from the University of Vermont in May of 2010. While I may not have taken the shortest route to graduation, I never gave up and I learned a lot about both myself and life in general during my adventures and travels over those three years. I relocated to Anchorage, Alaska in 2011 where I’ve starting my engineering career and continue to live the life I love.